We take care of the legal implementation of projects for our clients. The types of projects we cover are listed on our services page. We do all our work on a fixed fee basis. It’s clearer for all concerned. And it puts the onus on us to manage each project efficiently from the start. We regularly publish articles in the Resources section of our website. 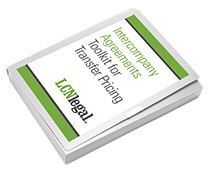 This includes legal information written by us, as well as guest content from organisations such as Deloitte, and interviews with senior professionals including the head of tax of Reed Elsevier and the former head of transfer pricing of Walmart. We also produce an email newsletter, which goes out every two weeks. Much of the content is on the subject of group reorganisations, but we also cover investment structures. As you may have noticed, we have launched a Chinese language section of our website. We use this to provide targeted, useful information for Chinese business people who want to invest in the UK. We use email and social media to share the Chinese language information we publish.